Madrid Sep 14 (IANS) Real Madrid s Spanish coach Julen Lopetegui on Friday praised his French forward Karim Benzema after his stellar start to the season. Benzema was presently tied with Argentine super star Lionel Messi on the La Liga s top-scorers list; both Messi and Benzema have scored four goals each thus far reports Efe. "I m not surprised he s a great footballer who is in his peak and at a good age and condition. 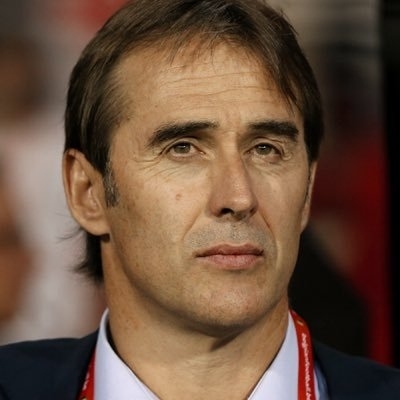 We want him to continue doing what he s doing or even better " Lopetegui said at a press conference ahead of the Whites Athletic Bilbao Saturday showdown. Lopetegui declined to take credit for the improvement of Benzema s play stating "The players are the ones who play and overcome the difficulties." The coach confirmed that Wales Gareth Bale came back from international play in a good form and had enough time to recover for the upcoming Bilbao game. "Bale has returned in great shape from the Wales matches. He played the last game on Sunday and had time to recover " Lopetegui stressed.